The Secret - A Book Review: How "The Secret" changed my perspective on life. 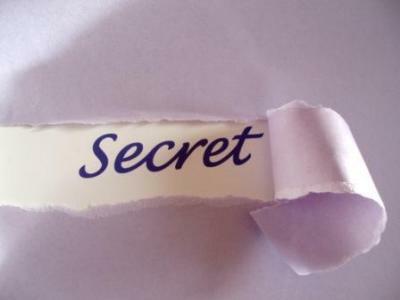 Before I read the book, "The Secret", I was struggling with a lot of things. I didn’t really pay much attention to all of them at the same time, but they would come up each individually. I was struggling with my weight, even though I am not very overweight I do have some extra pound that I felt was a burden on me. I also struggled with my money situation, I always felt like there was too little be spend. I felt guilty about spending money on high end products. I didn’t have good means of making money. Finally...I was struggling with my everyday luck and self confidence. My friend suggested that I read this book called "The Secret,"
And, at first, I really didn’t think much of it. It’s not one of those stories made me want to run out and get the book. This "The Secret" book review would have never happened had I not bumped into the book myself. I was casually walking through the mall and I noticed it out on display. I walked in and gave it a glance, I started reading it and it started to make sense. It gave me hope and made me feel better as soon as I started reading it. I read the book and now even though the problems still may be there I don’t feel like I am struggling. I have a much better time and I feel happy about life. I like the way I do things and I know I can get my weight down by simply wanting it. It’s a very simply book that talks about the law of attraction. By having positive thoughts and positive mind set you can do anything. It’s so simple...yet so true that this book really turned things around for me. I can confidently say that this book has made a great difference in my life. I would suggest to anyone who is struggling with things like I was to read the book. Join in and write your own page! It's easy to do. How? Simply click here to return to The Top Selling Business Books Discussion.